United Yacht Sales New Jersey would love to guide you through a personal showing of this 54' Sessa Marine Fly 54 2013. This yacht for sale is located in Hong Kong and priced at $995,000. For a showing please contact us by filling out the form on this page and we will get back to you shortly! Vessel is equipped with one master state room , one VIP guest state room, one side state room with twin bunks. There's also a crews quarters separate access aft. 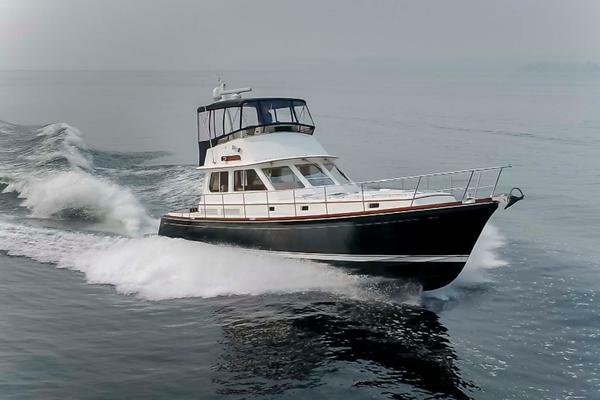 This Yacht also is equipped with Teak flybridge, side decks and cockpit , Stern winches , Tropical air conditioning, remote searchlights, full electronics package, Main bathhouse chromotherapy, extension for Bimini on fly bridge , sunbed covers and cockpit covers. The vessel is also equipped with hydraulic swim platform capable of raising and launching dingy.